‘Today the martyred Ukrainian Church – at the place where the Holy Prince Vladimir baptized the people of Holy Rus’ – is profaned by the schismatics’ sacrilege, violence and bloodshed’, His Holiness Patriarch Irenaeus of Serbia stressed. Speaking during the prize presentation ceremony held by the Unity of Orthodox Nations international public foundation at the Church Councils Hall of the Church of Christ the Saviour in Moscow, Patriarch Irenaeus said, ‘Everybody knows of the feat performed by hundreds of thousands of Serbs who struggled to the bitter end for holy Orthodoxy. So, I think, we do not need many words to explain how the Serbian Church treats all that is happening in Ukraine today. Our response to it is the same as was that of our ancestors: the Serbian Church gives full support to the unity and integrity of the Russian Orthodox Church and resolutely condemns the actions of Uniats and schismatics who are tearing apart the robe of Christ at the baptismal font of the Kievan Baptism, thus selling their people to the enemies of the faith whose end shall be according to their works (2 Cor. 11:15)’. 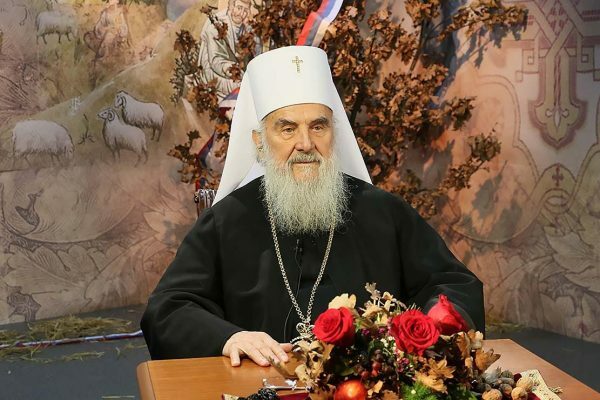 According to the Primate of the Serbian Church, ‘anyone who helps Ukrainian schismatics is an enemy of not only the Russian Church and Russian world, but also all the Orthodox Slavic nations and the whole Orthodox world’.